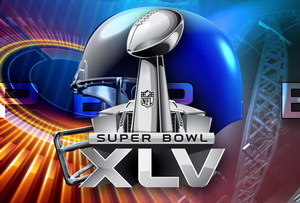 More than 30 brands, more than 55 TV commercials to be shown on Sunday, the 6-th of February during the Super Bowl 2011 45-th final (between the Pittsburgh Steelers and the Green Bay Packers). The advertisers having spent up to $3 million per 30 seconds of ad time in the Fox telecast expected to be seen by more than 100 million. Even Groupon, the daily deals coupon site that recently raised $950 million in venture-capital funding, secured an ad spot on TV for Super Bowl XLV. TBD – To be determinated! Parallel social media campaigns helps brands and advertisers capture more value beyond the tremendous cost of the TV ads. More of the TV commercials to be aired on Sunday (or TV Ads teasers) already are available online. Important notice: Apologies for not credited the creative teams of Ad Agencies created the TV Commercials – it is for lack of time to check it out.